If you need carpet cleaning in Tampa FL today, give Chem-Dry of Tampa a call. We keep an extra appointment open just for same day carpet cleaning appointments. 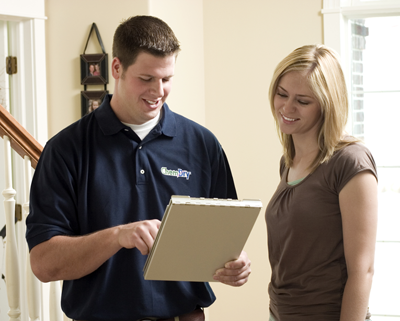 We understand the stress of sudden changes in your home. Accidents happen quickly and the sooner they can be taken care of the better. We have the ability to come in that day and take care of your sudden issue. There is no need to wait days for an appointment knowing that the situation is only getting worse. Our same day carpet cleaning service has the ability to handle your emergency quickly and to your satisfaction. Even is there is no emergency but you find yourself home for work for the afternoon. Give us a call and we will send a highly trained carpet cleaning technician to your home to evaluate and clean your carpets that day. Same day carpet cleaning in Tampa FL is not the normal operating standard for most carpet cleaners. Long waits and rigid schedules make it difficult to service those who have a short service window. The good news is that Chem-Dry of Tampa can accommodate those who need a job done in a hurry. Our two man crews can be in and out in less than two hours with a two hour dry time in most cases. Let us help you with your home cleaning needs. We don't just have same day carpet cleaning appointments we offer the same day service for upholstery cleaning and flood extraction services. Get the cleaning services you need when you need them. For same day carpet cleaning call Chem-Dry of Tampa FL.